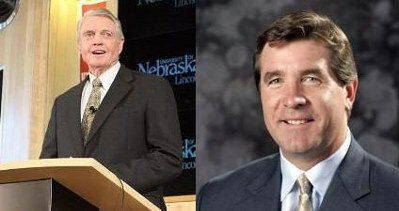 If a picture is worth a thousand words, this should spell the end for the coaching sensation of Callahan and Cosgrove. Senior DB Cortney Grixby returned a kickoff 94 yards for a touchdown against K-State to start the scoring explosion this Saturday in Lincoln. Running Back Marlon Lucky catches a swing pass that goes for 62-yards and a touchdown in one of only a few highlights for the Huskers. Wide Receiver Nate Swift's 112 receiving yards and 2 touchdowns weren't enough as the Huskers fall 25 - 28 to the Longhorns in Austin. 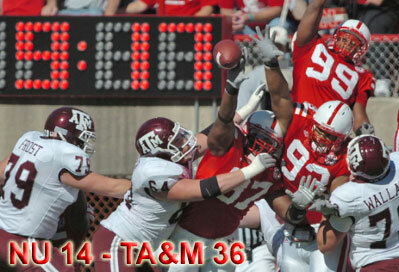 Huskers' Kevin Dixon (97) blocks a Texas A&M extra point in first quarter action in what would be one of only a few highlights for the Huskers. 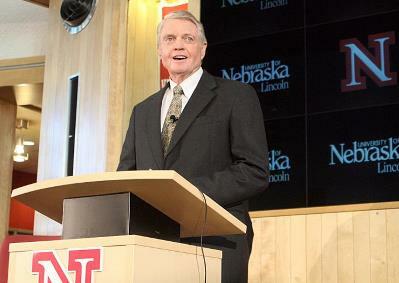 Tom Osborne replaces Steve Pederson - fired Monday by University of Nebraska Chancellor Harvey Perlman - with the hope of uniting a state that Pederson first divided over his firing of Frank Solich in 2003. The Blackshirts gave up more that 550 yards on defense and 45 points as the Huskers get pounded by the Oklahoma State Cowboys in Lincoln. The Huskers were no match for the number 17 ranked Missouri Tigers as they fell 41 to 6 in a game that the Huskers were dominated in every aspect of the game. It was painfully apparent that the Blackshirt defense doesn't believe in the scheme and that coach Kevin Cosgrove is not the coach for this job. This will be the second time in the last few years where the Blackshirts have performed like the worst defense in the big 12 or even the country. His inability to manufacture any kind of pass rush this season has made the Blackshirts totally ineffective. 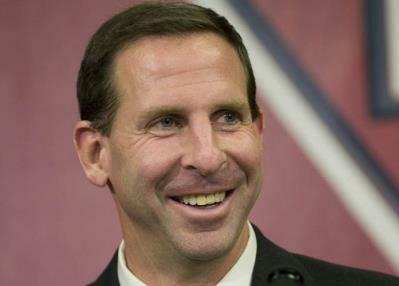 The Huskers played a prevent defense against Chase Daniels by only rushing 3 most of the game. Chase sat back and picked the Blackshirts apart for more than 400 yards passing and 2 passing touchdowns. Cosgrove's inability to make adjustments and put together a competitive game plan could spell the end for him. The Huskers have little room for error if they are to correct this ship. Oklahoma State visits Lincoln next Saturday. Let's see if the Huskers are able to rebound at home. The No. 25 Huskers football team were unable to stop MU quarterback Chase Daniels and the Missouri offense in a 41-6 loss to the No. 17 Tigers. The Blackshirts rebounded nicely this week and are starting to show signs of improvement. 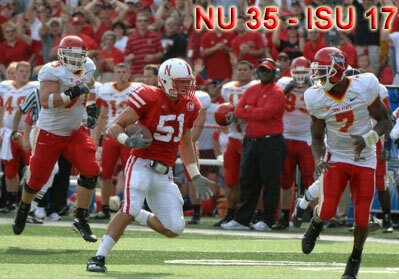 After spotting the Cyclones 10 points, the Huskers scored 28 unanswered points on the way to a 35 to 17 victory. Sam Keller seems to improve each game, completing 18 of 28 passes for 219 yards and 2 touchdowns. The Husker receivers dropped a number of passes or his stats would even be better. For the second game in a row, Bo Ruud returned an interception for a touchdown late in the second half. This time it was for 93 yards, which helped put a stake in the hearts of the Cyclones. Cortney Grixby played the game of his life, returning kicks and making two interceptions of his own. The Huskers travel to Missouri next week to take on a good Tiger Team. Nebraska's Bo Ruud returns a third quarter interception 93 yards for a touchdown. Early in the 4th quarter the Huskers found themselves behind by 9 points to Ball State. The Blackshirts were pushed around all day until a Bo Rudd 34 yard interception for a touchdown sparked a 4th quarter comeback. With the defensive struggles continuing for the second week in a row, the Blackshirts allowed 610 total yards of offense to Ball State. Quarterback Sam Keller continues to improve with every game completing 29 of 37 passes for 438 yards and 3 touchdowns, including the game winner 11 yard touchdown pass to Maurice Purify. Ball State tried a 55 yard field goal with 17 seconds left that sailed wide left as the Huskers escape at home with a 41 to 40 win. Quarterback Sam Keller completed 29 of 37 passes for 438 yards, 3 touchdowns and 1 interception as the Huskers escape with a 41 to 40 win. It was very evident from USC's opening drive that the Huskers were no match for the Trojan's rushing game. USC scored on their first drive going 96 yards in 5 plays, which included runs of 50 and 40 yards. The Huskers' passing game looked good with Sam Keller completing 36 of 54 passes for 389 yards and 2 touchdowns. The Huskers' rushing attack was only able to manage 31 net rushing yards for the game. 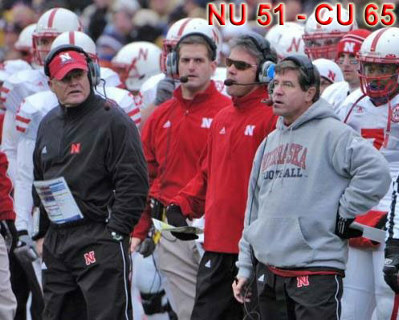 The Blackshirts were unable to stop the USC's rushing attack, giving up 313 yards and 5 touchdowns on the ground. The Huskers have to put this loss behind them and get ready for Ball State and the Big 12 Conference. The Huskers survive and hang on to win a closely contested game against Wake Forest 20 to 17. The Blackshirt defense only allowed 7 points in the second half and zero points in the fourth quarter. 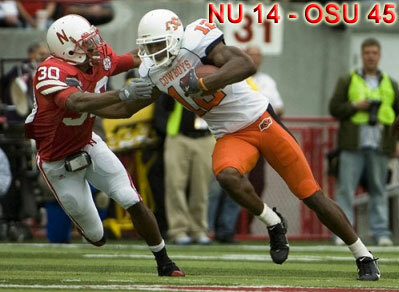 Zack Bowman made a key interception in the end zone late in the fourth quarter to secure the Husker victory. The Husker passing attack was less than impressive with poor decisions from Sam Keller and too many dropped passes from the Husker receivers. USC travels to Lincoln next weekend in what will be the Huskers' biggest test to date. The Huskers must play better on both sides of the ball if they hope to defeat USC. QB Sam Keller's much anticipated season debut didn't go off without a hitch. After Keller threw an interception that was returned 80 yards for a score in the first half, he seemed to calm down and played a solid game. RB Marlon Lucky was the star of the game, rushing for 235 yards and scoring 4 touchdowns. The Huskers also introduced Freshman bruiser running back Castille Quentin who rushed for 78 yards and 2 touchdowns as the Huskers topped Nevada 52 to 10. Brandon Jackson scored the Huskers' only rushing TD on a 20 yard run.